Giorgio Armani Si Shower Gel is an indulgent and enriching gel. 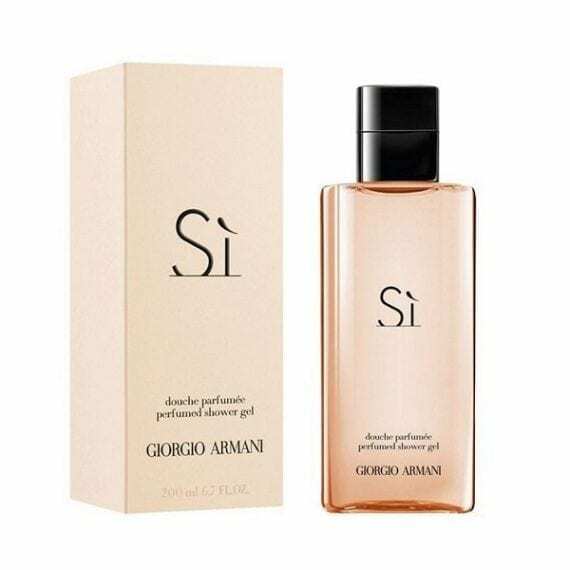 It is a gentle formula that envelops the body in the Armani Si fragrance which combines top notes of Sicilian bergamot, mandarin oil, liquer de cassis; heart notes of rose de mai absolute, neroli absolute, Egyptian jasmine absolute with base notes of patchouli oil, blond woods, amber, Orcanox and vanille. Also available to buy as an EDP and EDT.